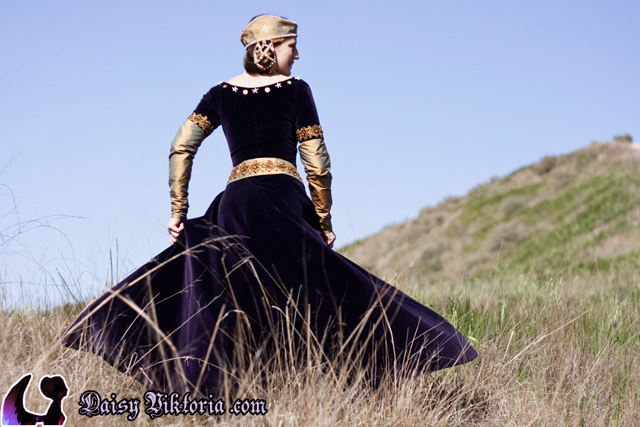 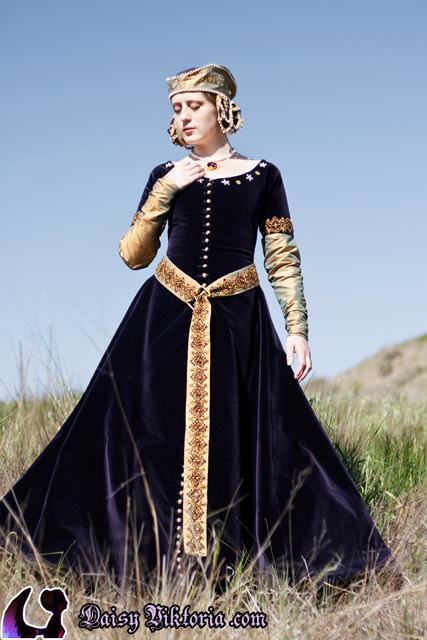 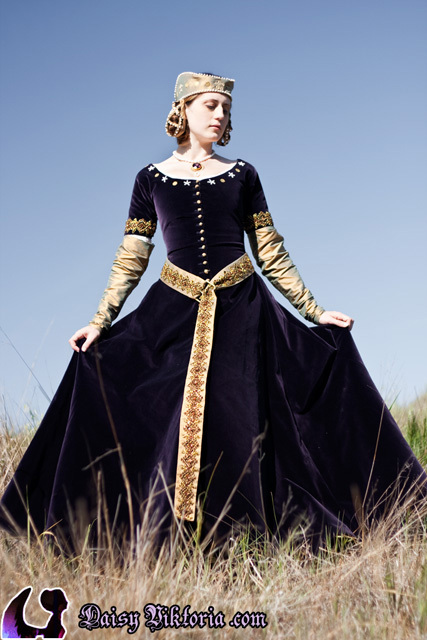 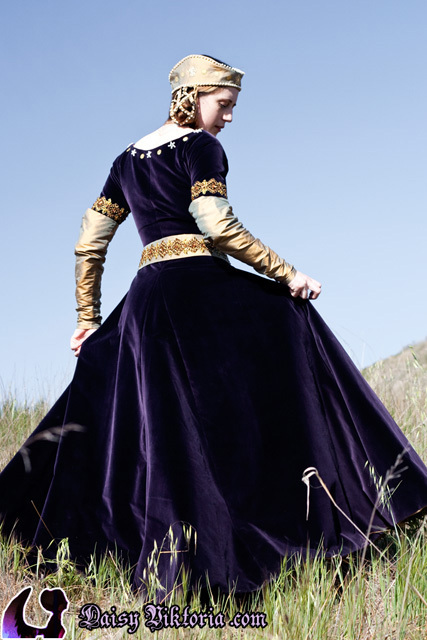 The cotehardie is a close-fitting 14th century gown with a full skirt. 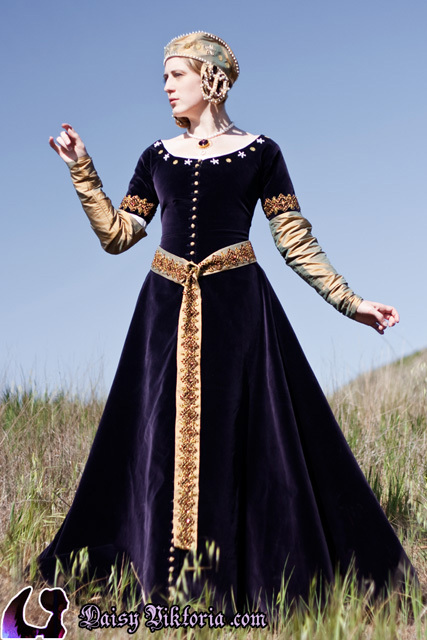 I made this one out of dark purple velvet and fully lined it in gold silk. 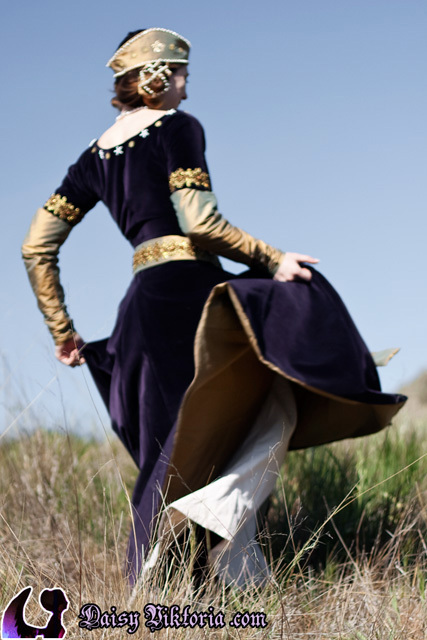 The buttons are all handmade from gold silk, and the buttonholes are all sewn by hand. 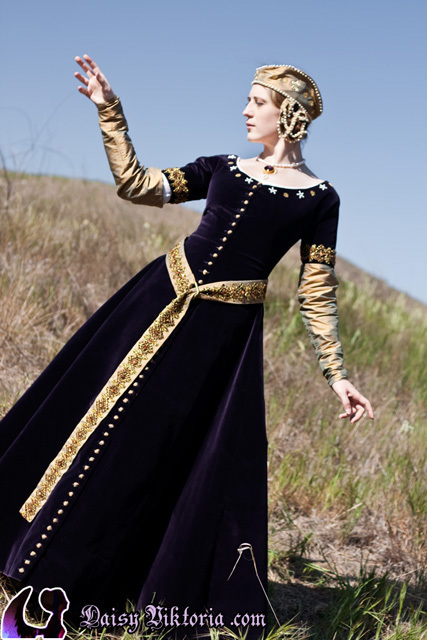 The neckline is hand beaded, and the pin on sleeves are made of matching silk. 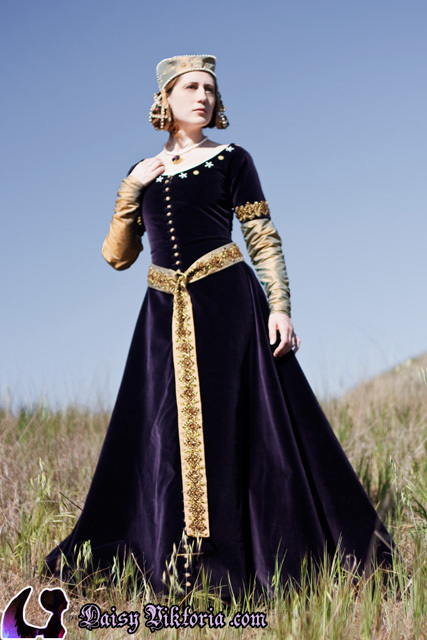 The belt is made of silk with beaded trim. 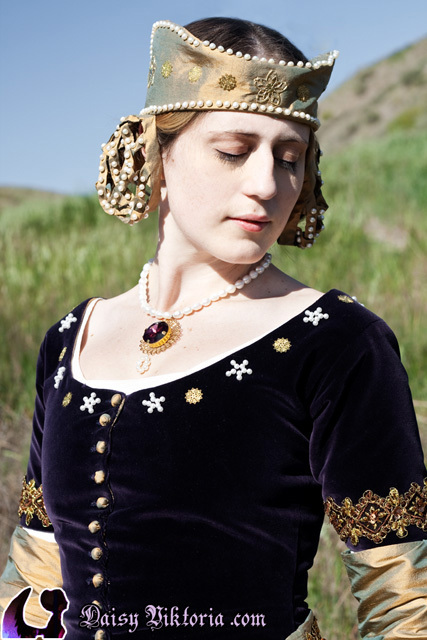 The hat is a tressour crispinette, which I made out of the same silk and hand beaded with real pearls. 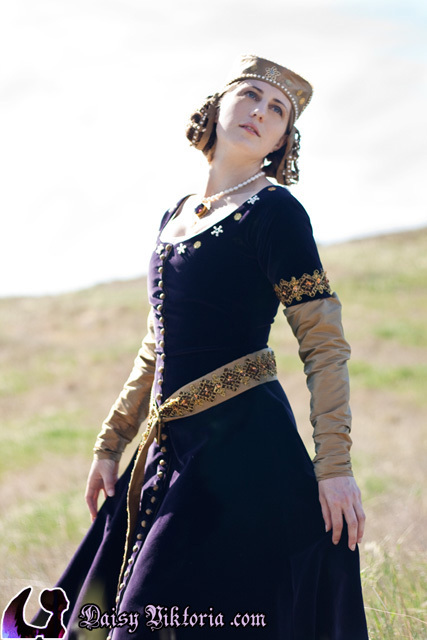 I also made the necklace with real pearls and a faceted gemstone.